Fund for Peace specializes in building early warning networks and systems in complex environments. 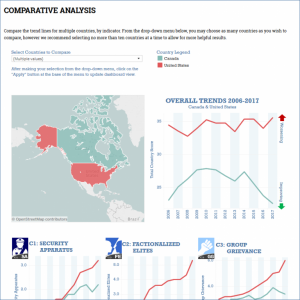 Combining social science techniques with information technology, we have produced the patented Conflict Assessment System Tool (CAST), a content analysis software platform that provides a conceptual framework and a data gathering technique for measuring conflict risk. 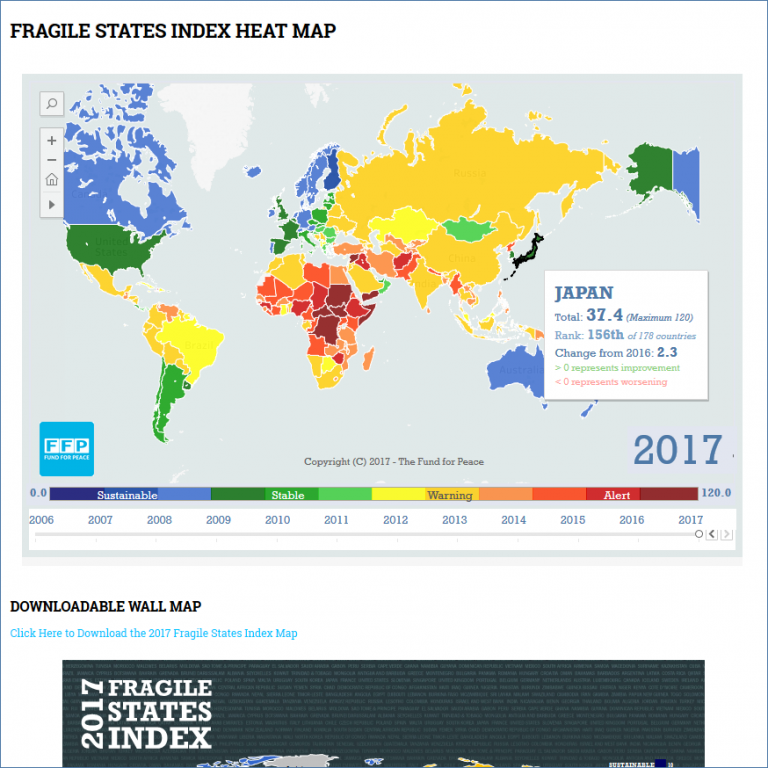 Annually, we produce The Fragile States Index, a ranking of 178 countries across 12 indicators of the risks and vulnerabilities faced by individual nations. Further, working directly with local and international partners, we collect and analyze local, national and regional data and trends. 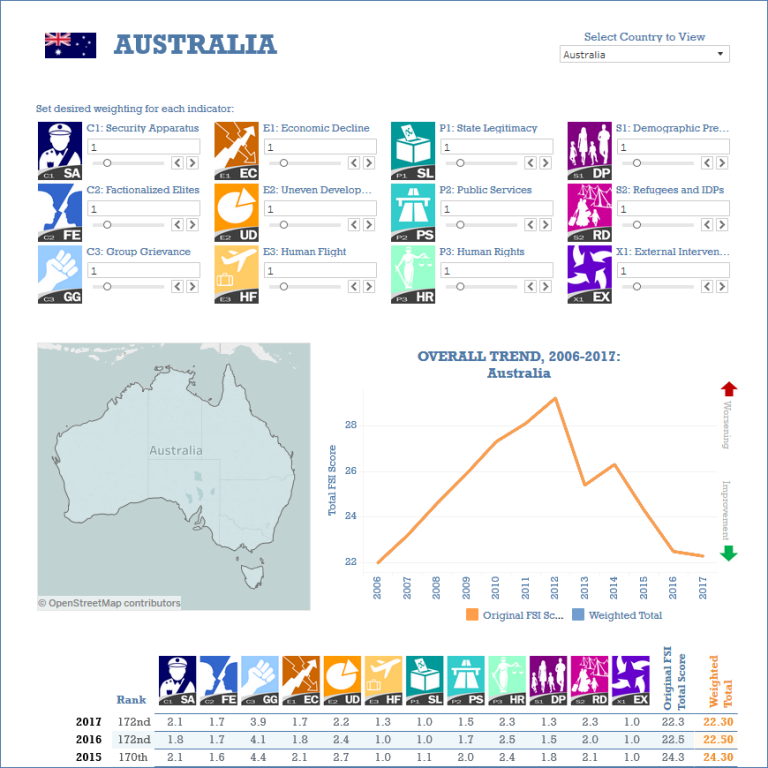 This information is then made publicly available in order to foster more informed decisions and policy making, as well as better coordinated approaches to peace-building. In addition to our early warning work with civil society, governments, and regional bodies from around the world, we also advise companies operating in complex environments on how to ensure they operate responsibly, respecting human rights and promoting greater stability. FFP provides conflict risk assessment Advisory Services for a variety of clients including governments, multilateral institutions and companies. FFP is able to provide tailored assessments that focus on the regional-, national-, or provincial-level. FFP also provides training programs for policymakers and field practitioners who wish to apply the CAST conflict assessment framework to assess conflict drivers and analyze risk. Further, FFP has assisted some clients in developing specialized, made-for-purpose conflict and risk assessment tools, frameworks, and platforms, such as for organizations that are focused on specific regions, or for investors who seek to better analyze the social, economic and political risks of potential investments.